The Nelson Wood Shims sales team is committed to helping our partner retailers succeed. We offer free pedestal display stands to our customers as a way to increase visibility and drive additional sales. 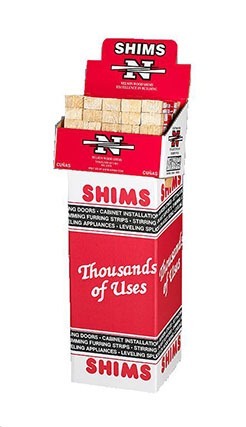 Fill out the section below and you will receive your free Nelson Wood Shims display in 7-10 business days.